Neither refunds nor credits will be given for failure to attend, late arrival, unattended events, or early departure for AAvPA events. 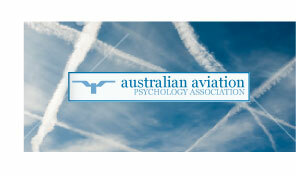 The Australian Aviation Psychology Association is not responsible for airfare, hotel or other costs incurred by participants in the event of program or registration cancellation. In the event that any symposium or conference organized by the Australian Aviation Psychology Association is abbreviated or cancelled by fire, explosion, strike, freight embargo, epidemic, pandemic, catastrophe, act of God, or the act of a public enemy, including, but not limited to, an act of any government, de jure or defacto agency or official thereof, the Australian Aviation Psychology Association Inc reserves the right, in its sole discretion, to unilaterally terminate the conference. In such cases, the registrant hereby agrees to waive any claim he, she, or it may have against the Australian Aviation Psychology Association for damages or compensation, including but not limited to fees for registration, accommodation, airfare, and incidental charges.